The Teak & Wicker Coffee Table features a beautiful slated teak top and solid base along with ash grey all-weather wicker. 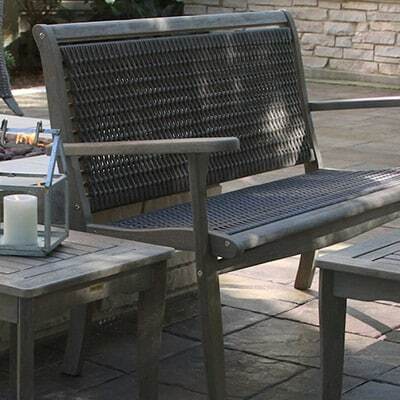 The Outdoor Interiors Vineyard Teak Collection is crafted from the highest quality materials starting with all-Natural Plantation Grown FSC Teak hardwood for long lasting outdoor use and durability in all climates. Our all-weather wicker coffee table is hand woven around a powder coated aluminum frame. 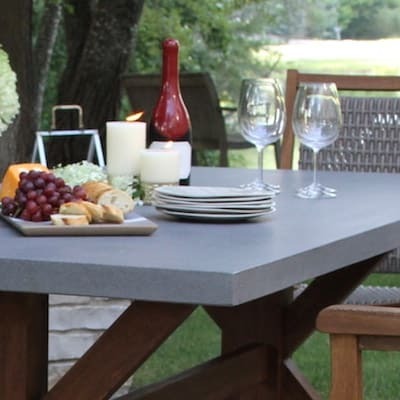 The Vineyard Collection is designed with clean lines and classic form that brings out the best in what we do and who we are as a company today. For cleaning, use a mild detergent and a soft cloth. Do not use abrasive cleaners or cleaning products. 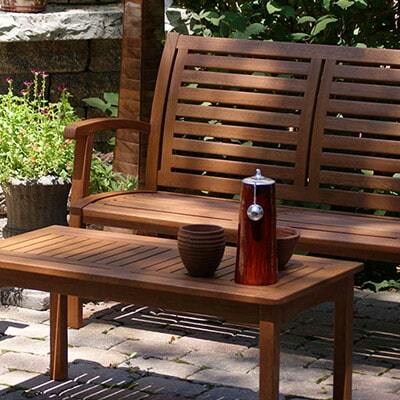 For maintaining the golden teak color, oil the solid teak at least 2 times per year. This will maintain and preserve the hardwood integrity for years to come. Surface areas require more care if in direct sunlight. Use name brand teak, linseed or hardwood oils for outdoor use. If vintage grey patina is desired, various water based conditioning products are available today that will colorize and preserve the teak. 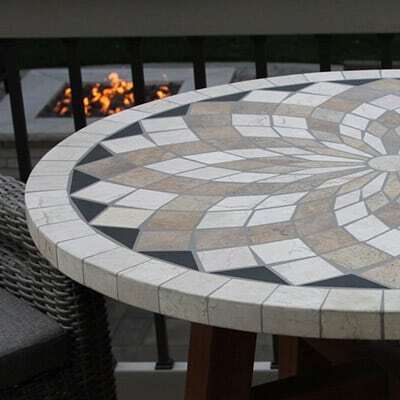 Natural patina will occur if no products are used and left outdoors. Always cover or store away your furniture during harsh weather and the winter season. Hardwood oils will not harm resin wickers, however, the wicker should be wiped free with a dry soft cloth during oiling projects. 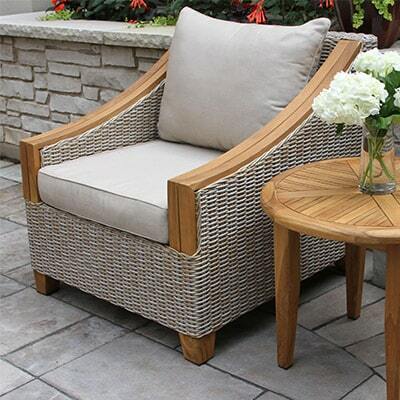 If wicker becomes soiled or dirty, use water and mild detergents for cleaning. CAUTION: Oil soaked rags should be disposed of carefully.